The Ivory Room is a fine dining restaurant in Abuja featuring a single, seasonally driven tasting menu of between 18 and 22 courses. The experience at Ivory Room is not only delicious, but also fun, emotional, and provocative. The Ivory Room has been universally praised for its innovative approach to modernist cuisine. 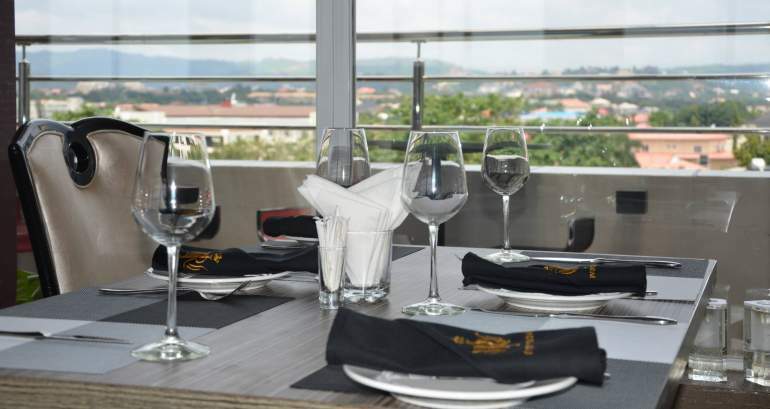 It has been seen as one of the Best Restaurant in the city of Abuja and is the only restaurant in Abuja which brings an exploration of the region’s produce and traditions delivered in a supremely contemporary fashion. Welcome to Ivory Room - Good Food. Good Cheers. Great Ambience. Well it’s all about the Ivory place, a go to place more for a 5 star dining experience, quiet, the mood, ambience all great. Situated at the heart of the Federal capital territory Wuse2, easy to locate. The outdoor seating had the view of the city which to me was more than cool. The menu had all the great cuisine,I could hardly come up with a choice of what to eat but,I and my friends ended up going healthy and we did the salads and we all had 3 different salads, I had the Cesar chicken salad with croutons and the pleasure of tasting out of the sea food and avocado salad and trust me it was to die for👌. The hurricane cocktail which was on the sweet side is deff to re order when next there. Overall experience was a very good one. Last week, My family and I went out for a birthday dinner celebration. We decided on Ivory Room because we had heard some great reviews and it was a relatively new place in town. Located at the top floor of the Ivory Place Furniture building in Wuse II, The Ivory Room leaves you speechless upon entry..Its not a huge space but its just enough for an intimate dinner or a nice night out with your friends. The decor is classy and the wait staff are nice and welcoming. There were about 20 of us and we were immediately seated and served our drinks, it was buffet arrangement so the first course meal of hors d”oeuvres or as we say in Nigeria “small chops” was served. The small chops were very good, i was particularly excited about the peanut ginger sauce, it gave each piece some extra flavor, however it seemed some of the beef samosas were spoilt and when we brought it to the attention of the waitress she apologized and stated that the order was made today and delivered to the restaurant (So they were not made in their kitchen). Aside from that…i went back for seconds for everything else. 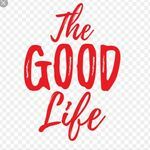 Then the main course was served, there was a variety of pasta, rice and seasoned vegetables so I just picked a couple of things even though I was already full from all the wine and small chops. The food was quite good, I think i was most impressed with the Alfredo pasta, it was delicious and very well seasoned. The grilled chicken tasted good on the surface but once i ate the skin, i was done with it..the seasoning didn’t quite penetrate and perhaps the huge size did not help either. The final course was a chocolate chip brownie sundae. I was not too impressed with the sundae, the brownie was a bit hard and unlike the soft gooey brownies I am used to that melt in your mouth. Perhaps they forgot to put it in the microwave before placing the icecream on it.